Police in Lisburn have issued an appeal for information after a teenage girl was attacked in the Belsize Road area of the city last Friday evening. At approximately 5.45pm on Friday November 20 , a 14 year female was grabbed by a group of four males while walking on Geen Park close to the junction with Belsize Road. She was attacked by these males, who she describes as having been wearing dark clothing, and as a result had her mobile phone stolen along with some money. 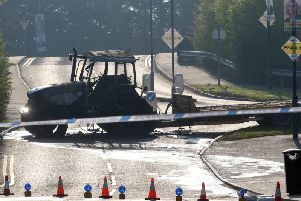 Anyone with information about the incident can contact police in Lisburn on the non emergency number 101 or via Crimestoppers by calling 0800 555 111.